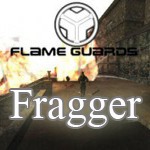 News about Flame Guards are submitted monthly here. So if you are a -|FG|-Member and would be kind enough to join an interview with yeti, just drop a message here or contact yeti. We are always looking for old and new -|FG|-Members who volunteer to be interviewed, so don't be shy, you can also influence the questions. Maybe you all notice that i didnt post some interviews last 2weeks :p sorry about that !